Leigh is an appealing main character - sixth grader - who lives in a very small house with his mother and misses his Dad, who drives a big rig. 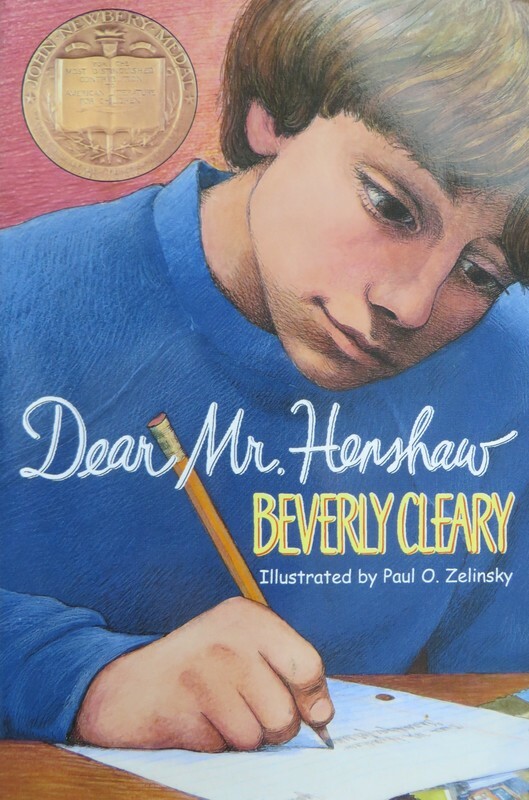 Mr. Henshaw is the author of a book he likes, and the story is told through a series of letters and journal entries. It seems more like it's written to charm adults than the target age group, and perhaps it was the model for a plethora of books that followed and used the technique of telling a story through a series of letters. I wish there were more correspondence from Mr. Henshaw, and the book shows its age with references to mimeographs and typewriters, but it still works on several levels, like the way Leigh misses his Dad, and his frustrations about things at school.